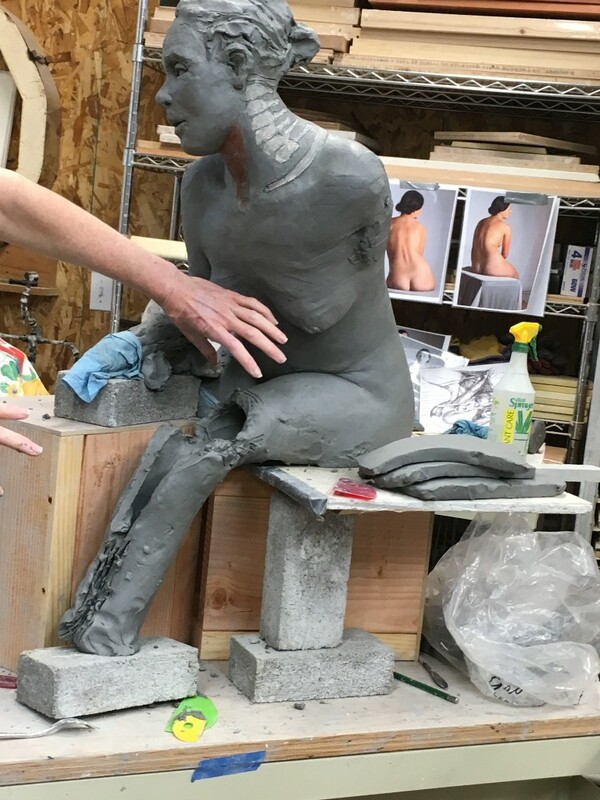 This intensive workshop will cover hand-building techniques for creating figurative sculptural works that bring the body to life! 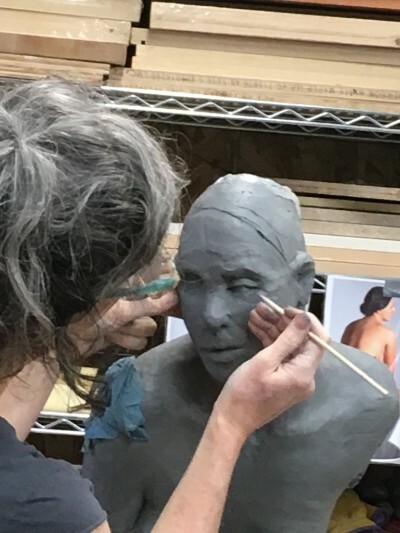 Participants will work on sculpting the full figure at about half life size, using photographs and anatomical reference material to bring increased accuracy to the sculptures. We will study the skeletal structures and explore ways to communicate weight and volume through the soft tissues. I teach anatomy differently than most, drawing from my bodywork and dance training, I share my love of the body with you. We will talk a lot about the bones and how they shift through the tissues in movement, how to see their landmarks change and sense them thickening up at joint lines. You will be guided through each part of the body with anatomy lessons and demonstrations including all my best tips and tricks for how to handle trouble spots like gorilla shoulders and noodle arms. Trouble-spot requests welcome!! I will be pre-selecting the pose for this workshop so that we can all progress at a similar pace. If you feel strongly about wanting to pursue an idea of your own design, that’s really great, but please consider selecting a five day workshop which has a more fluid and open design. Thanks! This workshop will also include several image presentations/discussions on figure sculptors in the field who demonstrate expertise in different aspects of the spectrum between stylization and naturalism. Even though I teach to the naturalism skill set, I adore highly stylized figure sculpture and want to keep an open dialogue about the subject throughout the workshop. Each participant will have their own rolling table and shelf, and many basic tools will be provided. The workshop will be limited to 6 students…the small class size is really sweet, leaving so much room for us to get to know each other and for me to work directly with each participant throughout the workshop. *June 1st and 2nd are rest days: The entire weekend of June 1st and 2nd to be slated as time off from the studio. You can use that time to rest, recharge and enjoy the beautiful mountains of Western North Carolina. The 10 day schedule is grueling, but well worth the sweat and tears! I believe that the 2 day break is essential, we must give the brain and the eyes time to re-boot in order to accomplish our goals.